Photo courtesy of Grand Falls-Windsor Heritage Society. 1965. A new online exhibit by Heritage NL invites you to take a walk down Main Street with the residents of Windsor, Newfoundland, and to explore the vibrant history of this shopping district. 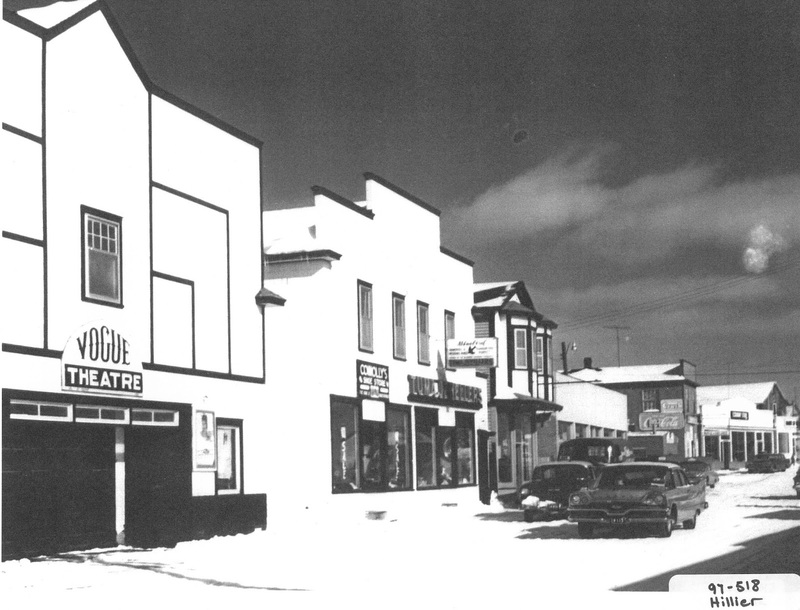 The site combines recent and archival photographs from community members and the Grand Falls-Windsor Heritage Society’s collection with written and audio memories about the food, shops and entertainments of Main Street. “Remembering the Merchants of Main Street” is a partnership between Heritage NL and the Grand Falls-Windsor Heritage Society (GFWHS). Developed with the assistance of the Virtual Museums of Canada Community Stories Investment Program, the exhibit helps visitors discover the stories behind the street’s many businesses, and learn how immigration and development have impacted the community. The community of Windsor grew with the establishment of a railway station and the development of a paper mill in the early 1900s. From its inception, Windsor provided home and opportunity to immigrants, including people who travelled from China or war-torn Europe to find safety and livelihoods for their families. Their surnames have become part of the fabric of the town: Basha, Becker, Chow, Cohen, Münch, Riff, and others.